This is a special map for the addon using which you can fly a space rocket. 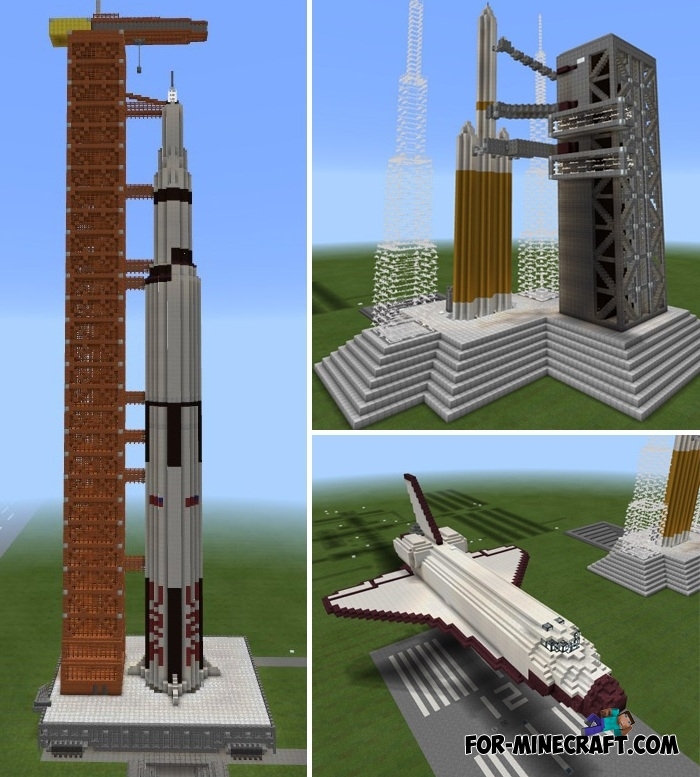 The map has a lot of completed projects for spacecraft, space shuttles and space rockets. 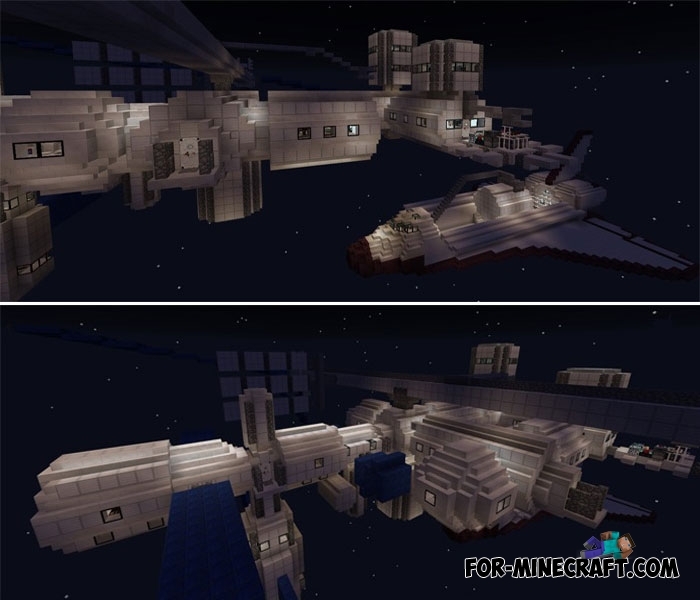 There is also even a space station consisting of series-connected modules. There a variety of computational computers, lighting apparatus and portholes are inside. Of course, you need to install an additional texture pack to make it look as in the screenshots. And with the flying rocket addon for MCPE, you can really fly between the space station and Earth. The take-off area is really very big and it should please you.